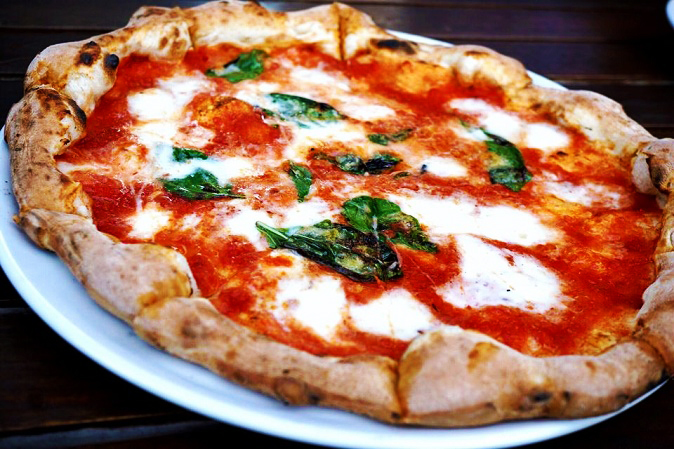 The modern day pizza we eat in the United States was created in Naples. Tomatoes were first brought to Europe by the Spaniards in the 17th Century and were added to an older “peasants meal” made with wheat flour, olive oil, lard, and herbs. In 1889, Raffaele Esposito of Campania made one for King Umberto I and Queen Margherita of Savoy. That pizza was inspired by the colors of the Italian flag and made with basil, mozzarella, and tomatoes. It is known today as Pizza Margherita. Florence is a city where finding a good steak dinner is never a problem. Authentic Bistecca alla Florentina is made with a T-Bone cut from a Tuscan Chianina cow, cooked rare on a wood grill, only three to four minutes per side, and seasoned with olive oil, rosemary, and sea salt. The portions are huge. You can expect to spend roughly 40 € for around a kilo of steak, so bring a friend along to share, and don’t ask for your steak well done. Florentine chefs find that very insulting. Some Italian food dishes have a legend or story behind them. Risotto Giallo alla Milanese was allegedly created by an apprentice of Valerio di Fiandro, crafter of the stained-glass windows on the Duomo di Milan. In the 16th Century, saffron was used to color the glass, and the apprentice, as a wedding gift to his master’s daughter, colored the rice with it, resulting in a golden hue. 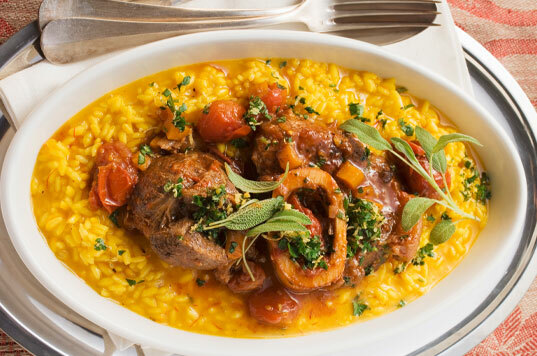 To enjoy the dish in its traditional form, try Trattoria Masuelli San Marco on Viale Umbria, near Piazzale Martini. Traditionally, tortellini was a dish created by the poor to reuse meat scraps by wrapping them in pasta. Of course, there’s nothing romantic about that Italian food origin, so a legend has developed concerning an innkeeper and his infatuation with the navel of Lucrezia Borgia, daughter to the Pope. Either way, if you’re a fan of tortellini, Bologna is the place to eat it. Bolognese Tortellini, made from egg pasta, is served in a meat broth and can contain either meat or cheese. Who doesn’t love a good cannoli? This delectable Italian food dessert, invented in Sicily, is basically a fried pastry shell stuffed with a sweetened ricotta cheese mix and filled with fruit, chocolate chips, or pretty much anything you want to mix in. 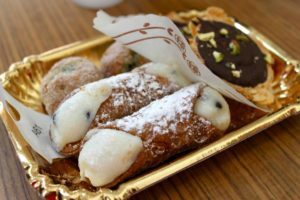 You can get them elsewhere in Italy, but there’s no better setting than a Mediterranean café in Palermo with an ocean view and some strong Sicilian coffee to go with your dessert. Diveriti!